The importance of independent external monitoring of prisons to prevent torture or ill-treatment from occurring is well established. Internal inspections can also play a crucial role however, and the Nelson Mandela Rules require a two-fold system that includes regular internal or administrative inspections conducted by the central prison administration. In this expert blog, Mary Rogan looks at international examples of internal inspection and outlines how they can help promote the protection of prisoners’ human rights. The principle that the inspection and monitoring of prisons can promote the protection of human rights and prevent torture and ill-treatment has become well established in international human rights law. 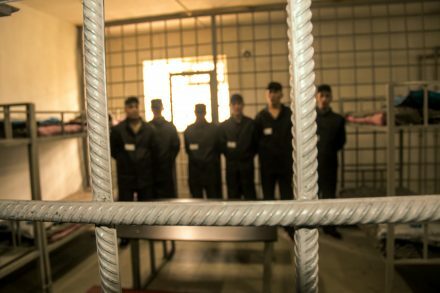 While international human rights instruments make it clear that independent monitoring of prisons is the gold standard when it comes to protecting rights in prison, internal or governmental forms of inspection can also play important roles in fulfilling prison authorities’ human rights obligations. Internal or governmental prison inspection can take many forms, including auditing and budgetary reviews, examinations of human resources issues, and investigations of compliance with protocols and policies. The defining characteristic of such inspections is that they are carried out by officials from the agencies responsible for the administration of prisons. This does not mean, however, that internal inspections should examine administrative or technical issues at the expense of evaluations of how prisons are protecting human rights. The need for a remit for internal inspections that includes human rights standards has been made clear in the Mandela Rules (the UN Standard Minimum Rules for the Treatment of Prisoners), which contain a renewed and very welcome focus on inspection mechanisms. The Mandela Rules cast internal forms of inspection as important players in the protection of rights, stating that internal and external forms of inspection should have the same objective – that is, ‘to ensure that prisons are managed in accordance with existing laws, regulations, policies and procedures, with a view to bringing about the objectives of penal and corrections services, and that the rights of prisoners are protected’ (Rule 83). This statement is important because it avoids what can be a tendency of internal inspectors to focus on administrative matters such as audits, budgeting and employment matters. The recently revised commentary to the European Prison Rules (EPR) also notes the complementarity of independent monitoring and governmental inspections and argues that both types of body should work to ensure that the EPR are respected. As the revised commentary makes clear, ‘technical administrative matters’ cannot be the sole interest of internal inspection bodies. We know surprisingly little about the types of internal prison inspectors that exist, how they work, or the effect of their work. In its Prison Incident Management Handbook, the UN has put forward a useful three-fold categorisation of review: 1) internal prison management systems, which review operational performance, staff training, and staff discipline; 2) government review and oversight; and 3) external review. The Association for the Prevention of Torture also suggests what the types of reviews conducted by internal inspectors can comprise: routine checks and short, scheduled visits; longer visits to monitor general detention conditions; inspections following allegations of dysfunctions or abuses; and inspections required by the prison authority for an expert assessment of a particular issue. The Mandela Rules, importantly, make no distinction in the types of powers that internal and external inspectors should have, emphasising the need for internal inspectors to be able to move freely within prisons, to speak confidentially to prisoners and staff, and to have access to documentation. Internal inspection is a feature of prison systems in several states. In the German state of Hesse, for example, internal inspections are conducted by the authority supervising the Prison Service, within the Ministry of Justice. These audits examine human resources, budgets, rehabilitation, security, and legal and parliamentary affairs; a checklist is used to support the inspection. The inspectors provide advice to the prison administration on how to rectify any problems identified and engage in dialogue with prison managers. The German government has referred to the internal inspection procedures when responding to reports from the European Committee for the Prevention of Torture and Inhuman and Degrading Treatment or Punishment (CPT), noting that its response to certain recommendations will be monitored by internal inspection bodies. This indicates a useful, complementary role for internal inspections in following up on and supporting the implementation of recommendations from independent and international monitoring bodies. The Kenya Prisons Service is also developing a system of internal audits, examining compliance with international prison standards with a view to using the data acquired to inform training and policy. Finland’s Criminal Sanctions Agency has an internal audit unit which examines the treatment of prisoners as well as financial and other kinds of administration. The Swedish Prison and Probation Service has both an Audit Unit and a specific unit for internal inspections operating out of its headquarters; a team of inspectors spends about three or four days in a prison during a visit. The Mandela Rules, importantly, make no distinction in the types of powers that internal and external inspectors should have, emphasising the need for internal inspectors to be able to move freely within prisons, to speak confidentially to prisoners and staff, and to have access to documentation. The UN has also produced a checklist for internal inspection mechanisms to assist them in assessing compliance with the Mandela Rules. The checklist encourages internal inspectors to engage in interviews with personnel and prisoners, reviews of documentation, observations, physical measurements and reviews of external reports. The expected outcomes cover areas including basic principles of treatment, safeguards, material conditions of imprisonment, security, order and discipline, the prison regime, healthcare and prison staff, and are based on the Mandela Rules’ requirements. Internal prison inspections permit prison authorities to gather information [that] allows prison systems to act quickly to rectify any potential problems. Internal prison inspections permit prison authorities to gather information about their prisons, the prevention of ill-treatment and the promotion of human rights in a timely fashion, which is fully grounded in the local context. This information allows prison systems to act quickly to rectify any potential problems before they come to the attention of external or international inspection and monitoring bodies. It would be very valuable for internal prison inspectors to make their work more visible and to develop networks to share good practices as well as the challenges they face. Independent and international monitoring bodies should also make reference to their work in their reports more often and provide guidance to them. There is more to be done to help internal and independent inspection and monitoring bodies realise their potential to work in coordinated and mutually reinforcing ways, and support a culture that does not tolerate breaches of human rights in prisons. PRI and the OSCE Office for Democratic Institutions and Human Rights have produced a Guidance Document on the Nelson Mandela Rules, a practical tool that explores the main human rights issues that arise in prison settings and provides guidance for how these can be addressed by implementing the Nelson Mandela Rules. PRI has also created a number of factsheets and thematic papers to support the work of detention monitoring bodies. Mary Rogan is the Principal Investigator of Prisons: the rule of law, accountability and rights, a project funded by the European Research Council and based at Trinity College Dublin, which examines the oversight of prisons using legal and socio-legal research methods. This work explores the legal framework, lived experience and effects of inspection, complaints mechanisms and judicial oversight in the prison context across Europe and in comparative perspective.